Celebrated for its vibrant colours and complex flavor profiles, Thai cuisine is one of our favorite Asian cuisines. 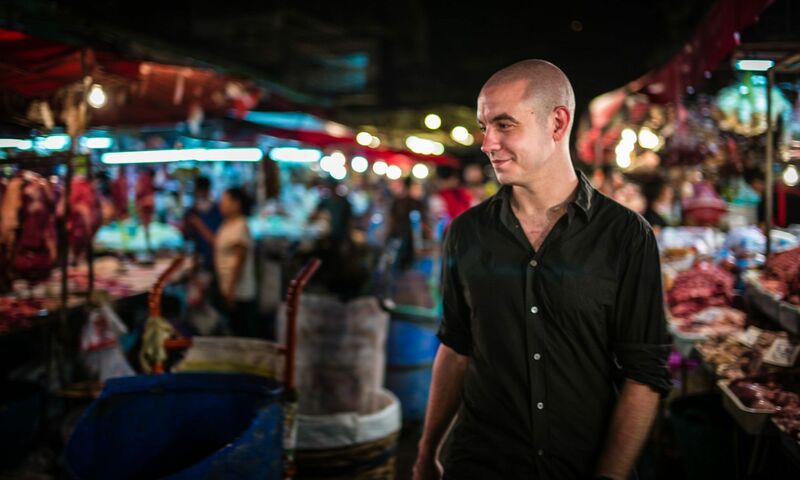 Chef Adam Cliff, formerly at Chachawan and winner of Best New Chef award of Hong Kong Tatler Best Restaurants Guide 2014, is moving forward to open Samsen, his new Thai noodle restaurant, end of this month. A dedicated Thai noodle fan himself, Adam Cliff’s new establishment embraces the long-standing traditions, often found through the streets of Bangkok in Thailand. The simple menu of Samsen takes guests through a variety of soup bases, with freshly imported Thai noodles to match. Chef Cliff is bringing more than just noodle soups, but also stir-fried noodles and plated stirred noodles, all available on the simple menu at Samsen. The 35-seat restaurant is designed by Charlie & Rose, the mastermind behind the interiors of Mr and Mrs Fox, Limewood and Issaya Siamese Club. The designer duo fills the high-ceiling dining space with rattan blinds, hanging down along windows while the unfinished concrete walls are embellished with exposed cupboards for a homely feel. The simple menu covers various noodle dishes, from soup based to wok-fried varieties, complete with side dishes and a good selection of homemade beverages, beers, and desserts.